With an illustrious judging panel selected for their particular experience. The awards are becoming more and more difficult to win every year. 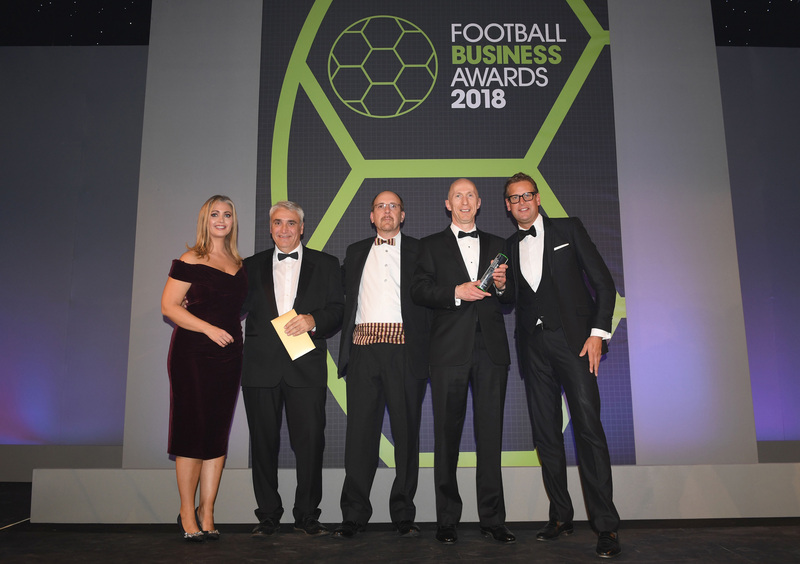 We are proud to announce that this year the Best Community Scheme Non-Premiership award was won by one of our Clubs, Kew Park Rangers, who were up against some fantastic competition including Kick It Out. “We hope that we can demonstrate the value that we are adding to many peoples’ lives on creatively generated revenue sources, which maintain our independence and self-sufficiency. KPR was established in 1999 and started with fewer than ten children. coaches over 700 girls, boys, youths, adults, players with disability and veterans in 33 teams, making us the second largest community football club in Surrey. The local area is littered with players that wear their jackets and kit around the locality with pride. One of the key developments over the club’s lifetime has been the transformation of a local piece of land, which used to be a central hub for unsocial behaviour. The club has turned that underused piece of land into a thriving community clubhouse and increasingly well groomed pitches. That area is no longer vandalised or covered in graffiti; instead we have a ground and clubhouse to be proud of and which provides a café and other facilities available for the local community to run clubs and social events. Our key aim is to increase football participation by expanding football activities for local people, introducing a full programme throughout the season as well as school holiday coaching schemes and coaching, referee, mentoring and junior leadership courses for potential volunteers of any age. We host FA courses at our club and have upskilled over 500 participants in a wide range of FA Courses. For example, 100 young players have become Mini Soccer referees, and over the last three years alone we have had 60 parents and one disability player become Level 1 coaches, two become level 2 coaches and one a UEFA B coach. We support all our coaches through our own mentoring structure at the club and will be embracing the FA Mentor Scheme. The club is hugely driven in all that it does by the FA Respect Programme. We constantly undertake CPD programmes to reinforce the importance of respecting all involved in the game and we have been rewarded by being voted the Youth League Fair-play winners in 2013/14 2016/17 and 2017/18 and Surrey FA Respect Club of the year 2014/15. The League award is competed by 500 clubs and, of course, the FA Respect Club award is open to every club in the country. One of our key objectives this past year was to provide more opportunities and engage further with groups that are typically less active, including girls, veterans, those with disabilities, and disadvantaged adolescents. We have introduced disability coaching, encouraging over 20 new players to participate and forming a team in the Disability Football For All League, as well as identifying players to join the FA Disability Talent Pathway. We have a thriving Girls section, which has grown from three to seven teams within just two years, recruiting many young females who are playing football for the first time. We also have strong links with local schools, delivering the FA’s Mash Up programme which enables teenagers to find a route back into football. On the older spectrum, we partner the ‘Kew Community Trust’, to offer ‘Walking Football’ for the over 55s. Our ethos is imbedded in our core principle of ‘football for all’ over winning at all costs. The club has brought a community together but has, more-importantly, created the opportunity for anyone in our community to make friends through football from different ethnic, social and economic backgrounds irrespective of Race, Gender or Disability. KPR is a Community Club which has looked to learn lessons throughout its short life and which continues to drive forward the key ethical aspects embedded within the club’s DNA. It is a testament to how a community can truly can come together.